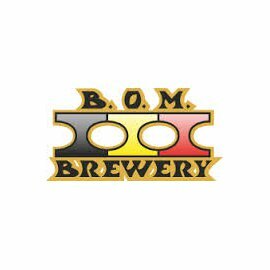 BOM Brewery stands for Belgian Original Maltbakery and Brewery. Before, each brewery had its own malt bakery, also called the malting house. Starting from this tradition, they bake, as first malt bakery in the world, all their own malts by themselves. It concerns here new kinds of malt that they develop especially for each beer individually. They are unique and baked according to traditional methods. They create their own beer recipes that they brew according to the principle of the gipsy-brewery. This means that they hire the wort boilers of a brewery to brew their own beer.